Vetiver is helpful for a lot of well being advantages and in addition good to make your hair stronger. 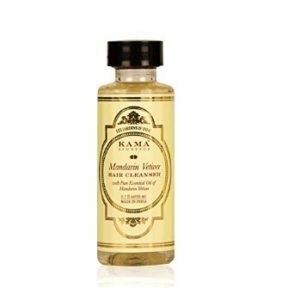 Buy Kama Ayurveda Mandarin Vetiver Hair Cleanser (Shampoo), 50ml price Rs.255 at Rs.77 only at Amazon which is a whole Ayurveda product. A refreshing and purifying hair cleanser. It helps management oiliness, and leaves the hair and scalp feeling cool, deeply cleansed, and non-greasy.